A new trend has emerged in animation production over the last few years. One that champions smaller studios with projects of passion, giving more power to the fans that want to see them made real. Crowdfunding is a means of project funding whereby you ask the internet at large to stump up a bit of cash in order to show your support and prove that a project is worth getting made. Funds partially or fully pay for animators, software, studio space, all sorts. There are some awesome video games, movies, albums, board games and inventions that have been created only with the help of the donations gathered from crowdfunding. Animation is no different, so let’s take a look at the best animations that have been made as a result of crowdfunding on one of the biggest platforms on the net: Kickstarter. This cutesy show began life as a few humble YouTube videos. 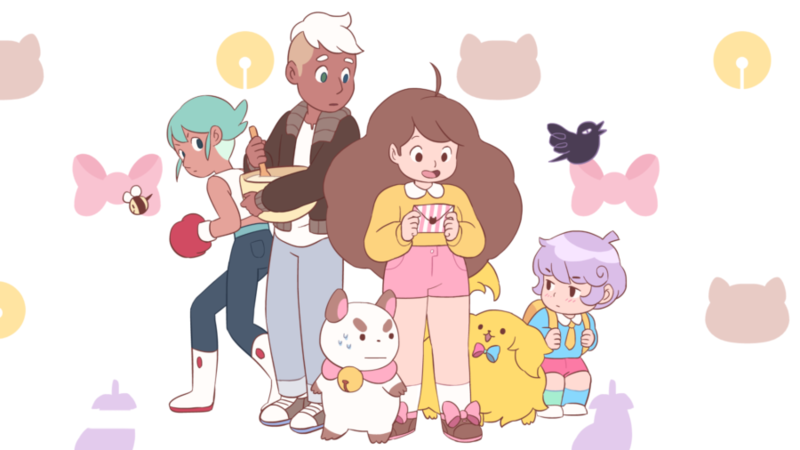 When it started gathering a healthy following online, studio Cartoon Hangover felt confident enough to take to Kickstarter to get their show a proper series. It’s about a girl in her 20s who can’t seem to hold down a job. When returning from yet another failed employment, she meets a mysterious creature that teleports her to an alternate dimension where she’s given a series of temp jobs by a giant intelligent TV screen. The fundraising project achieved its $600,000 goal with just 6 days to go. By the time it ended, it had raised $872,133, funding nine 6-minute episodes, and becoming the most highly funded animation project on Kickstarter to date. 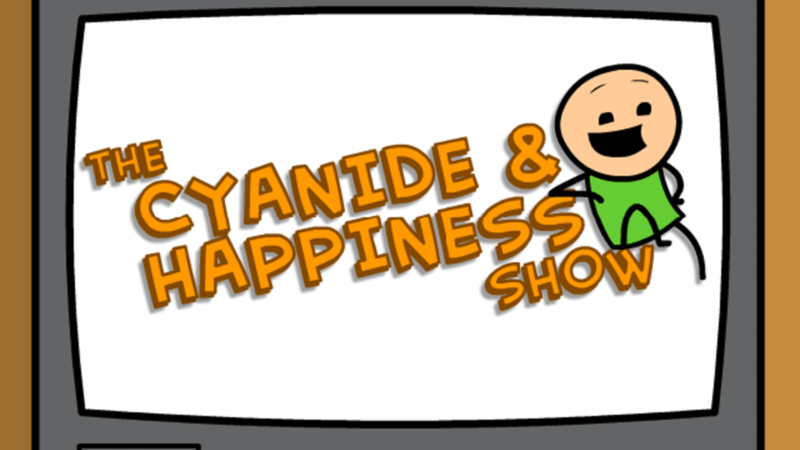 Explosm are known for their massively popular webcomic Cyanide & Happiness. Again, YouTube played a vital role in getting this project rolling, since they already had a handful of animated clips on their channel. Spurred on by the growing view count on their fast paced, irreverent comedy series, the studio launched a Kickstarter campaign in early 2013, where it collected a total of $770,309 – over three times their initial target. Anomalisa is a beautiful feature length stop motion animation directed and produced by Charlie Kaufman (Being John Malkovich, Eternal Sunshine of the Spotless Mind) and Duke Johnson (Moral Orel, Frankenhole). It’s a fascinating, psychologically bizarre spectacle that achieved pledges totalling $406,237, enough to make it into a short film. Upon this Kickstarter success, the studio won additional funding to make it instead into a feature length production. We love the style of the 3D printed models, with their almost uncanny lean towards realism, a visual choice not normally seen in stop motion. The plot follows a man crippled by the mundanity of life who perceives everyone around him as if they look and sound exactly alike, that is until he meets one woman who appears unique to him. It just wouldn’t be a list worth having without some quality hand-drawn animation now would it? 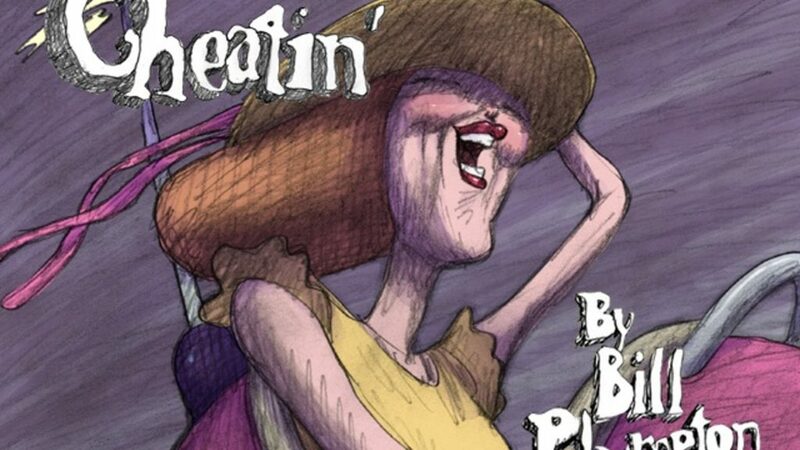 Lucky for us, Bill Plympton’s adult animated comedy project just so happened to get funded on Kickstarter. Taking a look at the animation, it’s no surprise why – Plympton’s sketchy style has been invigorated by a digital watercolour effect, one that straddles the line between the traditional and the modern beautifully. To finance the expensive digital colourising and compositing process, Plympton turned to crowdfunding, where he hit his goal of $75,000. It warms the cockles of our little hearts to see so many traditional animation fans out there willing to put their money towards something like this. 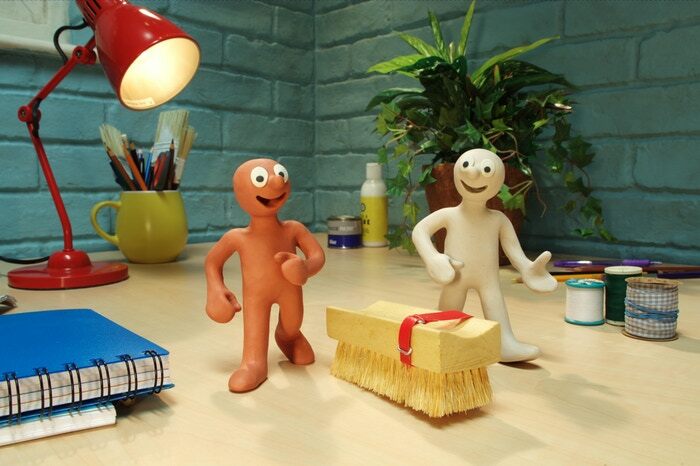 Morph is an absolute icon of claymation. He’s cute, he’s expressive and his knack for transformation means that when it comes to physical comedy – he’s as versatile as it gets. Over 30 years after Morph could be found mucking around on Tony’s desk during the 70s show Take Hart, it seems that this little guy still has a fiercely loyal following. So loyal that they were willing to collectively shell out £110,648 just to see more of the little guy. These all new, made for YouTube episodes have frequently boasted several million views per episode. We think it’s down to the love and reference that Aardman clearly have for their character, and the way that the studio have managed to faithfully capture the essence of what made Morph’s antics so popular. This Japanese anime series was conceived in 1996, allegedly inspired by the successes of Akira and Ghost in the Shell. It follows students forced to fight in a shadowy, sci-fi anti-terrorist organisation. 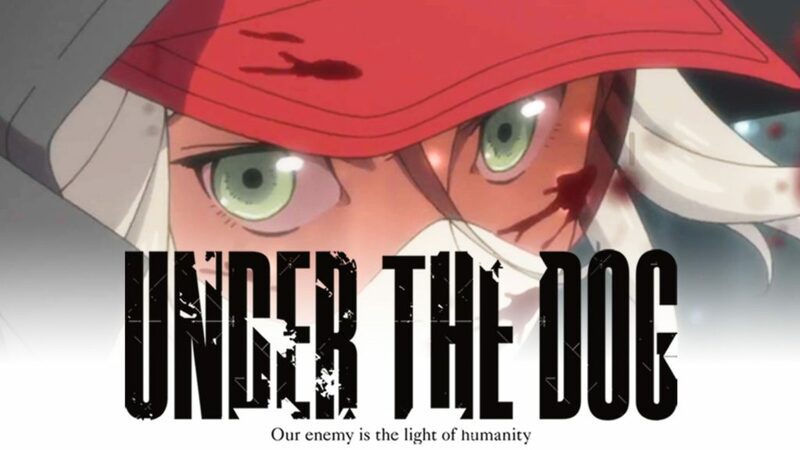 Originally a collaborative project between Creative Intelligence Arts and Kinema Citrus, and later a project solely produced by Kinema Citrus, Under the Dog sadly couldn’t win conventional funding because it didn’t target the regular anime audience. Fortunately for the studio, Kickstarter presented an alternative way to get the capital they needed to get the show’s production moving. When the campaign ended, it had raised a massive $878,028, enough to complete the original episode and fuelling interest for more. This movie is kind of our go-to when we need to show someone what’s possible with modern animation. 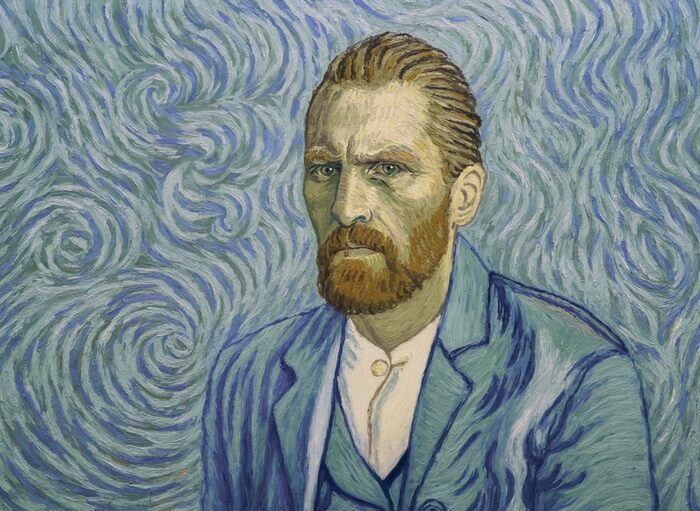 It’s a truly innovative project: the world’s first animated film made entirely from individual oil paintings. 12 oil paintings per second, all done by over 100 painters trained in the same style. That’s enough pictures that when laid flat in the original canvas size they were painted at, they would cover London with enough spare to cover the area of Manhattan too! Breakthru Films with the help of Kickstarter backers willing to support them with £53,292 have created something truly unique and unforgettable. Do yourself a massive favour and watch this in motion as soon as you can. It will challenge what you thought was possible in animation. If the quality of these animations are anything to go by, the days of animation being strictly territory of gigantic mega studios or tiny indies is over. A new and exciting contender steps into the ring – one more in touch with the hearts and minds of its viewers than ever. The increase in crowdfunded animated projects can only be a cause for excitement and optimism for the future of animation. We can’t wait for more of these projects to get the support they deserve! Got your own project that you want to make an animated video about? Crowdfunding is an awesome, inspirational way of getting stuff made, but sometimes it takes a professional touch, so let’s chat.